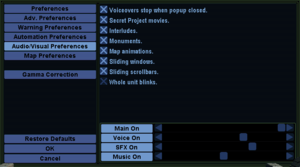 alphacentauri2.info - Active Alpha Centauri modding, patching and multiplayer community. Perhaps the last on the web. Apolyton Civilization Site's Alpha Centauri section - A huge forum dedicated to all Civilization games and their spin offs. The game will run without the CD if you have performed a full install. SecuROM DRM otherwise. 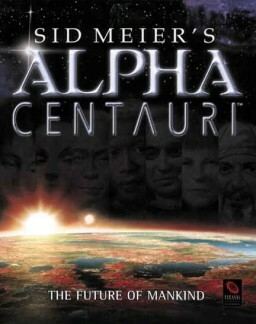 Sid Meier's Alpha Centauri Planetary Pack. Included with Sid Meier's Alpha Centauri Planetary Pack. The GOG.com version already has the official patches, but you should strongly consider installing an unofficial patch. For the original SMAC (Alpha Centauri) release install the Alpha Centauri v4.0 update and then the XP Compatibility patch. For the original SMAX (Alien Crossfire) release install the Alien Crossfire v2.0 update and then the XP Compatibility patch. For the Planetary pack or Laptop pack just install the Compatibility patch. The original .exe is filled with exploits and prone to crashing. The patches below will fix the vast majority of crashes and bugs. Yitzi's patch (SMAX only) - Built on kyrub's SMAX patch and scient's patch, and contains even more fixes. v3.4 includes PlotinusRedux's PRACX graphical patch, but you need to install PRACX separately as it wasn't packaged properly. kyrub's patch (SMAC, SMAX version not recommended) - Aimed primarily at improving AI performance but also fixing some bugs. SMAX version has only minor AI improvements and is superseded by Yitzi's patch. scient's patch (SMAC and SMAX) - Fixes bugs, crashes and exploits and includes text file improvements. Recommendation: You should install Yitzi's patch if you're using SMAX and either kyrub's or scient's if you're using SMAC. Yitzi's patch breaks backwards compatibility for alphax.txt. If you use old scenarios that require a custom alphax.txt this means that you may need to manually move the changes over. This will not be a concern for most users. Not using Yitzi's patch means that some newer scenarios and custom alphax.txt will not work for you. To use any patch, extract the zip file into the installation folder and overwrite the existing files. The patches' AI improvements won't make the AI too hard for new players, and instead aim for a reasonable level of challenge at "Librarian" difficulty. Tweaks mostly involve teaching the AI how to do not-terribly without cheating. Patches are primarily developed on the Alpha Centauri 2 forum. PRACX + Official Alien Crossfire doesn't work, you need to install an unofficial patch first. Yitzi's 3.3 patch has been tested to work. GOG.com version is English only. German text/audio/video files have to be copied over from the retail version. Due to game values and display texts being in the same file, many unofficial patches will overwrite German retail files. Requires the v2.0 Update or later. Try the latest copies of Yitzi or kyrub's patches. Otherwise, might be related to a bug with automated artillery units (though I think Yitzi might have fixed this one sometime). Try turning off automation and see if it helps. More info here. GOG.com recommends using Catalyst 13.4 or earlier but the game also works with 14.x or earlier. The filename has changed since the fix was discovered. If problems occur by removing the shim, it can be restored with sdbinst goggame.sdb using the similar process. Allows the installations of mods for the game. Download the latest non-python version of the program here. Enable them with the launcher by moving them to the right and clicking apply. Move unwanted mods to the left. Allows the content of the original game to be played in the SMAX engine. Can use the mods that are designed for the SMAX engine. 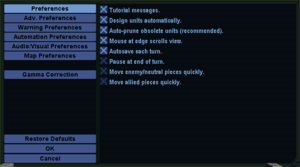 An AI improvement mod for Alpha Centauri: Alien Crossfire. This mod has been tested to work with the GOG version of Alpha Centauri. The developer of the mod recommends the use of PRACX and smac-in-smax with this mod. Includes the Scient patch v2.0. 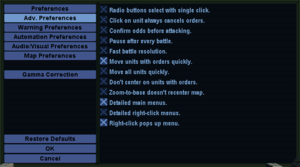 Some custom scenario rules in "Edit Scenario Rules" menus are not fully supported. Rebalance the various factions to make them work better with the improved AI. Other tweaks to gameplay are listed in the mods homepage. Does not support unofficial binary patches. Use the Unofficial Binary patches at your own risk. This page was last edited on 19 April 2019, at 06:39.